The Cigar Broskies: The Cigar - Moments of Pleasure price update! The Cigar - Moments of Pleasure price update! 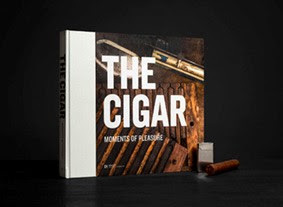 Previously, we had the opportunity to review the book, The Cigar - Moments of Pleasure. Its an incredibly insightful and visually stimulating book that every cigar lover should have the opportunity to read. We recently received an update from the publisher that it is now being offered on Amazon at a killer price - $20. Since they passed on the message on the savings to us, we decided it should be passed on to you too! Enjoy!